D'LOTUS is located at 10 LORONG AMPAS in district 12 (Novena, Thomson, Toa Payoh) of Singapore. 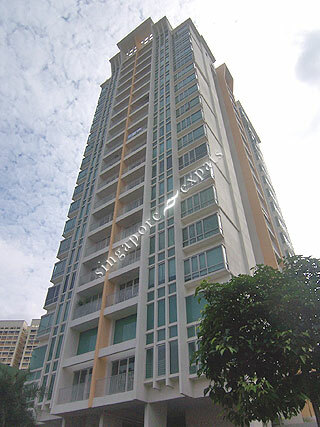 D'LOTUS is a Freehold Condo development consisting of 83 units. D'LOTUS is completed / TOP in 2007 (estimated), developed by ALLGREEN PROPERTIES LTD.
Educational institutions like GLOBAL INDIAN INTERNATIONAL SCHOOL, ST JOSEPH INSTITUTIONAL INTERNATIONAL, SAN YU ADVENTIST SCHOOL, HONG WEN SCHOOL, BALESTIER HILL PRIMARY SCHOOL and PEI CHUN PUBLIC SCHOOL are near to D'LOTUS. D'LOTUS is accessible via nearby TOA PAYOH, BOON KENG and NOVENA MRT Stations. Fantastic condo in a great area especially if you want to experience Singapore and not live in a vanilla ex pat suburb. Balestier is one of Singapore's rich historic areas with lots of Hawker centres, parks and shops - really great place to live and only 10min from the CBD.